The piano is one of the largest musical instruments that you can play. With all of it’s moving parts, there’s a lot to be intrigued with by this instrument. Have you ever wondered why pianos have 88 keys? The answer just might surprise you. So, why do pianos have 88 keys? Pianos have 88 keys because composers wanted to expand the range of their music. Adding more piano keys removed the limits on what kind of music could be performed on the instrument. 88 keys have been the standard since Steinway built theirs in the 1880s. To better understand why today’s pianos are 88 keys, it’s important to understand exactly how the instrument came to be. In this article, we’ll look at the history of the piano, how it got to 88 keys, and why some modern pianos are featuring even more keys! Why Do Modern Pianos Only Have 88 Keys? There have been many reiterations of the piano over the past few centuries. Even today some pianos are being made with upwards of 100 keys. Still, 88 keys have been the standard for the last 120 years. The reason 88 keys still remains the standard is partially due to tone. Once a piano starts producing notes below the lowest A on the keyboard, the tones become almost unrecognizable. This is because the frequency range is incredibly low, and the human ear can only hear comfortably beyond a certain range. The same can be said for pitches that are beyond the highest C on the piano. The other reason pianos are at 88 keys is because there simply are not enough compositions to warrant a mass expansion of the instrument. With the exception of some modern works and electronic music, there is almost no repertoire that uses pitches beyond the standard 88 keys. Beyond the low A, no one makes use of anything beyond this range. Another issue with taking the piano beyond 88 keys is the size. Not only does the piano have to extend from side to side, but it also has to extend from end to end. Without that increase in the size of the piano casing, some of those pitches would not properly sound. 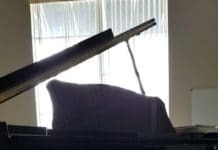 While the standard concert grand is at least 9′, some are reaching sizes of over 10′ just to help accommodate the additional octaves added to the instrument. This can be problematic when trying to add pianos of this size to your home let alone a crowded concert stage. More keys also mean more strings. More strings mean more tension. To build a piano with more keys requires more customized parts. 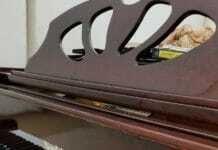 Costs to produce these pianos are also a factor. Piano manufacturers have to continue pouring money into research and design to make these instruments. They also require more wood, materials, and labor to build. Production on a bigger piano takes time. 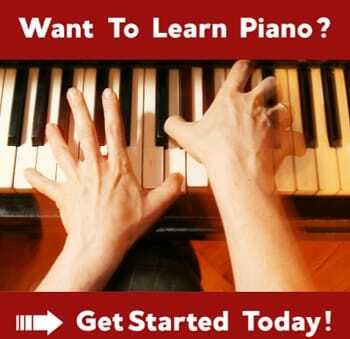 The average piano takes 1 to 3 years to complete in it’s normal 88 key states. More keys add to that time. Before there was the piano, there were a number of other keyboard instruments. However the most successful of those instruments at the time was the harpsichord. Invented in the middle ages, the harpsichord was the standard instrument and grew in popularity by the late 16th century. Composers such as Bach, Scarlatti, and Handel composed thousands of pieces for the instrument. It was generally well received at the time, but as the music began to modernize, the harpsichord began to run into some walls. Because of its limited 5 octave range, the piece was not a great fit with some of the newer orchestral pieces and advancement of other instruments. The limited range made it less tasteful to audiences, and the range of music was extremely limited as a result. Not only that, but the harpsichord was extremely limited in its dynamic range. To help expand on what the harpsichord could do, the fortepiano was created. Bartolomeo Cristofori created an instrument that featured a hammer mechanism to strike the strings. This has evolved into what we know it as today, the modern piano. The fortepiano featured the first expansion on the performance capabilities of the harpsichord. Both the harpsichord and the fortepiano have 60 keys. What’s interesting about the fortepiano is that the keyboard colors are the inverse of what we know about today’s pianos. Here’s a read up on why the piano has black and white keys. Dynamically this instrument has the ability to vary the sound. It can produce a soft tone, midrange tone, and loud tone just like today’s modern pianos. There are also different tone qualities in each of the ranges. Unlike today’s pianos though, there is a lot less sustain with the fortepiano, and it also used knee stop and knobs instead of pedals to aid in that. Composers such as Beethoven began composing pieces that required greater demands out of the instrument. In this period especially, pianos began to undergo certain transformations. The primary change, however, was the increase in the number of keys. To satisfy the need of composers and to further the development of the piano, Steinway created the 88 key piano. At the time there were pianos with 85 keys, and some with less, however, it was not widely sought to add more keys. Steinway, however, made the move to add additional keys to the 85 key model to make it 88. The piano as we know it today has 7-octave ranges. In total that gives us 52 white keys and 36 black keys. Being that Steinway was one of the largest piano manufacturers in the 1880s, others saw this move and followed suit. The expanded piano allowed for a better balance between tenor and bass range to go with the treble. Many compositions at this time were Romantic and starting to head into 20th-century works. Use of the extreme ranges of the piano had become popular, especially in Rachmaninoff and Cage’s music. 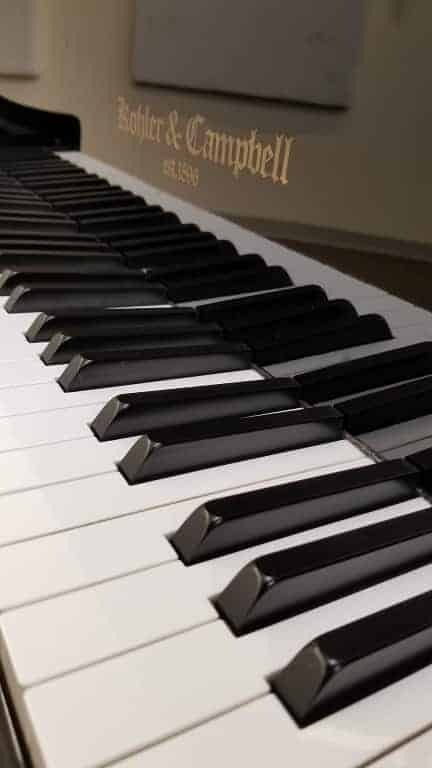 With the rise in composition software, electronic music, and new instruments being invented every day, the advancement of the piano is more important than ever. Thanks to technological advancements in woodworking and acoustics, several piano builders are adding in all sorts of cool features. This includes piano player systems, removable tuning components, and longer lasting gold plated action parts. 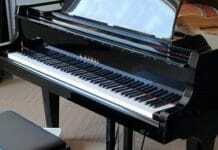 Pianos are even being developed using special CAD software for ultimate precision. Perhaps the most impressive development is the addition of extra octaves. Brands like Bosendorfer and Stuart and Sons are known for these unique instruments. Bosendorfer, for example, has a 92 and 92 key model. The extra octaves are added to the bass which produces unique tones that otherwise would not have been heard. Then there is Stuart and Sons who makes a 102 and 108 key grand piano. As more and more large pianos are being constructed, more composers will start creating music that makes use of those notes. It will, however, be quite sometime before this becomes standard as the low A on the piano has been in use for nearly 150 years. Do All Pianos Have 88 Keys? All pianos do not have 88 keys. Some older pianos have 85 keys. Modern pianos have 92, 97, 102, and even 108 keys. Most of the keys add an additional 1 to 2 octaves in the bass range of the instrument. Bosendorfer and Stuart and Sons are makers of pianos with additional keys. Why do Pianos Have Black And White Keys? The exact origin of black and white keys is unknown. It is thought that the 36 black keys are easier to see on top of the 52 white keys.